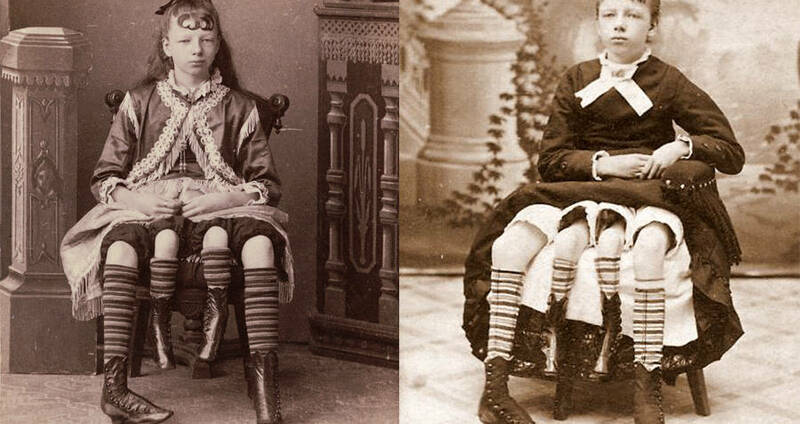 Myrtle Corbin joined Barnum's sideshow at 13 years old. She was born with dipygus, a medical condition which resulted in Myrtle being born with two pelvises, and four legs. She performed until she was 19 years old, at which point other sideshow members tried to falsify her condition. None of the attempts at a faux four-legged woman were as popular as Myrtle herself. Circa 1880s. 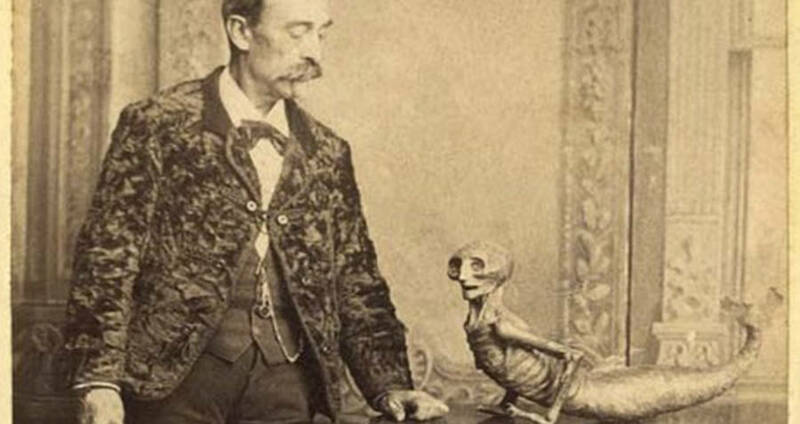 The Feejee Mermaid was one of Barnum's most famous non-human oddities. The skeleton was on display in both of Barnum's museums but is believed to have been lost when the second museum burned down. Originally thought to be proof of mermaids in Fiji, and said to be caught by trustworthy fishermen in the shallows off the island, the skeleton was actually that of a small monkey glued to the tail of a large fish. 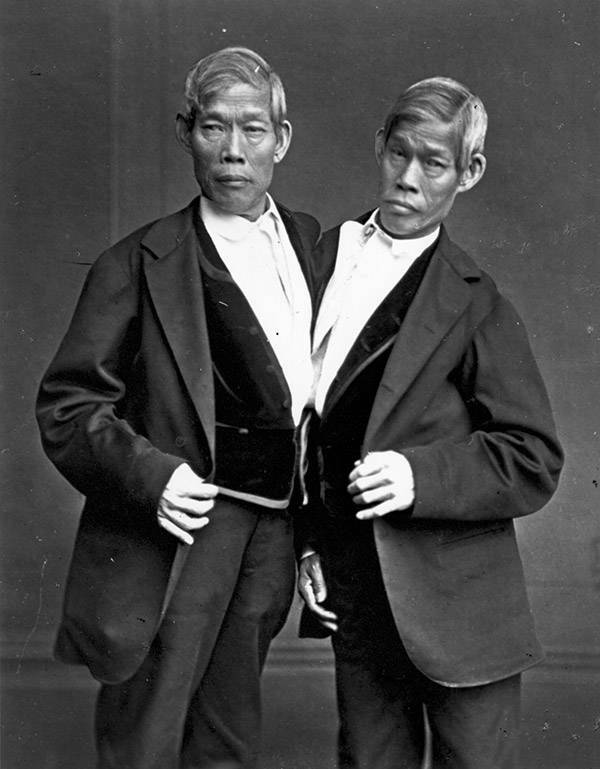 Chang and Eng Bunker were born outside of Bangkok, in what was then known as Siam. They are the origin of the term "Siamese Twins." In 1829 the two men joined P.T. Barnum's circus and were exhibited as an oddity. After they finished their tour, the pair relocated to North Carolina in America and married a pair of sisters. 1865. 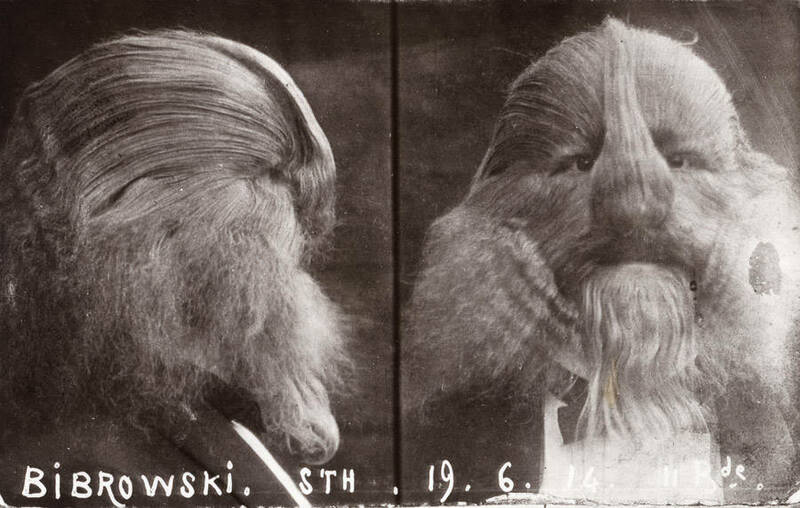 Like Fedor, Stephan Bibrowski was another one of Barnum's showcases who suffered from hypertrichosis. Since his hair was longer than Fedors, he was branded as part lion. The cause of his affliction was blamed on the fact that his father had been mauled by a lion while his mother was pregnant with him. 1914. 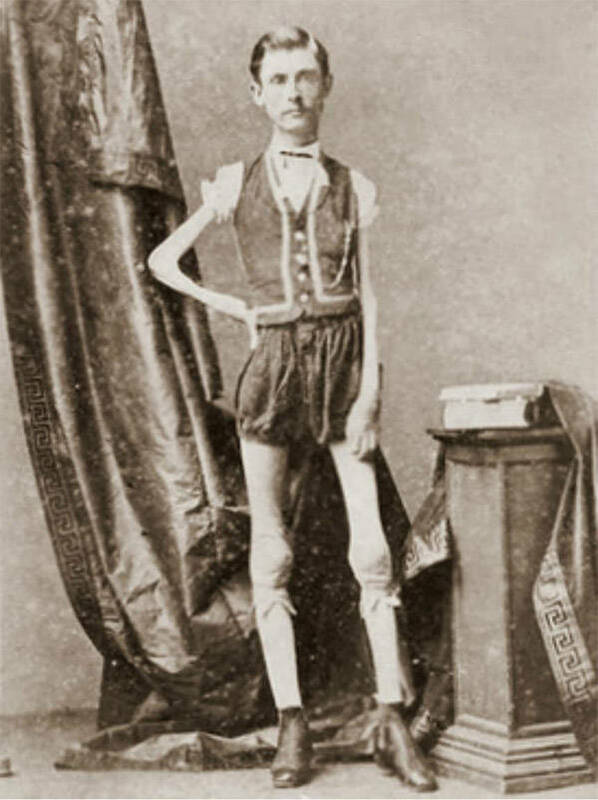 Isaac Sprague performed with Barnum at his American Museum, as the "human skeleton." At the age of 12, Isaac started losing weight despite his healthy appetite, and eventually went down to a weight of 43 pounds. 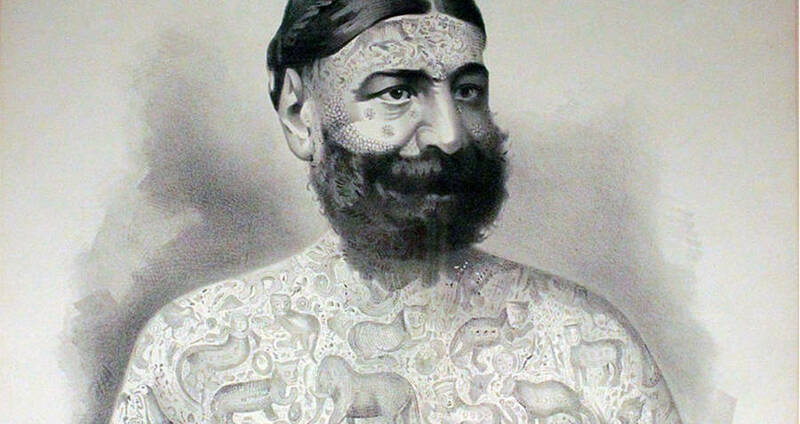 He was often paired with Barnum's overweight performers, to highlight each of their weights. 1867. 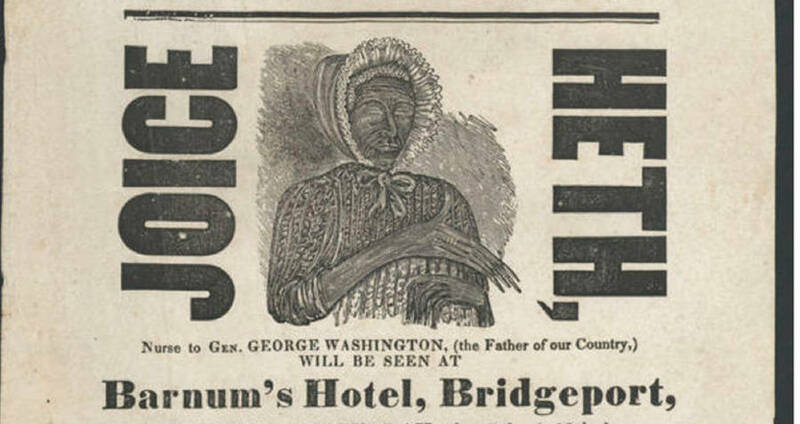 Long believed to be Barnum's first sideshow attraction, the woman known as Joice Heth was marketed as a 161-year-old nurse, who had been George Washington's nanny. In reality, she only lived to be about 80. Barnum often claimed that her body was buried in his family plot, as the two were close, but upon his internment, it became clear that he had been lying. 1835. Annie Jones Elliot toured with Barnum during his circus days. 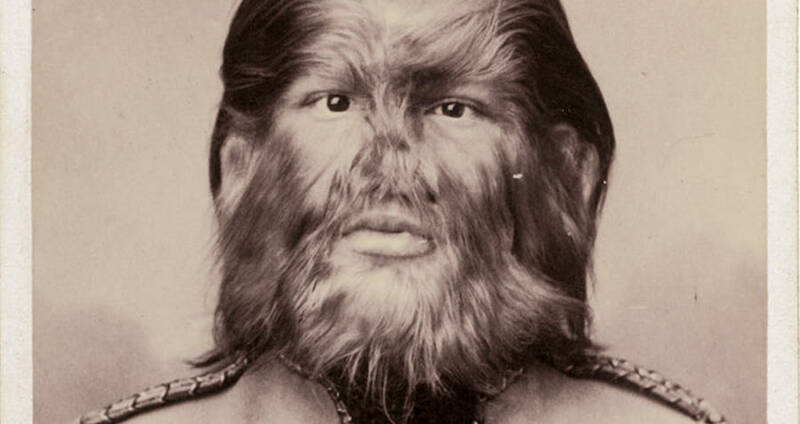 By the age of five, she had a full beard, mustache, and sideburns. 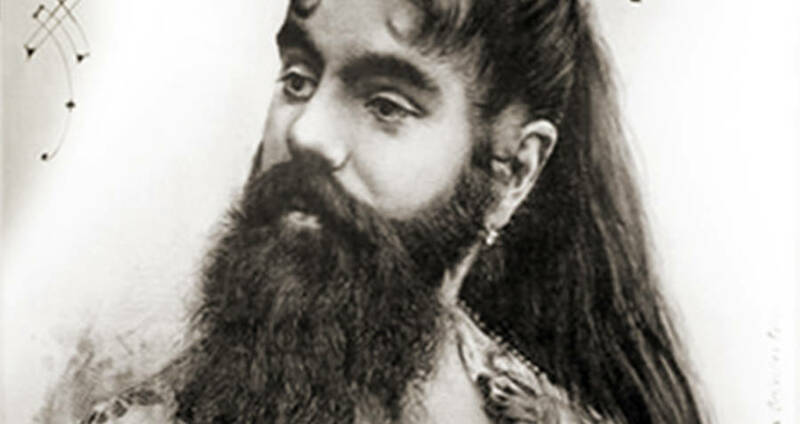 She was believed to suffer from hirsutism, a condition that causes excessive body hair growth. Circa 1880s. 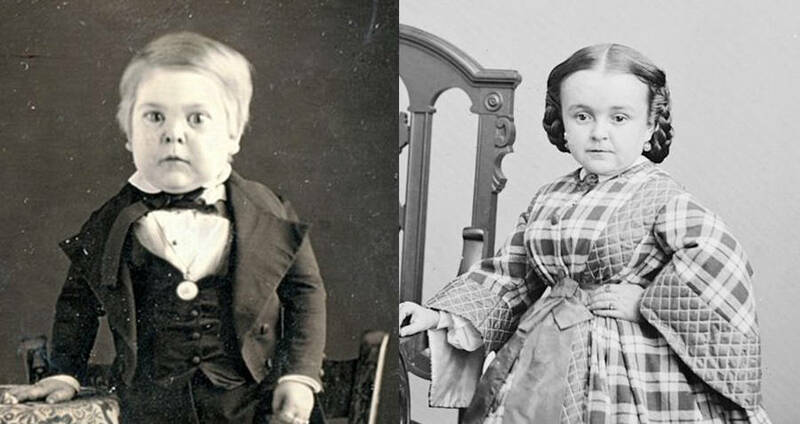 Tom Thumb, born Charles Sherwood Stratton, became one of Barnum's most famous oddities as soon as he joined. By the time he was six years old, he had reached his full height of two feet tall. His fame helped finance the museum's multiple tours across Europe and brought Queen Victoria to the audience twice. Eventually, he settled down with Barnum's second "little person" Lavinia Williams. Cira 1860s. Born William Henry Johnson, but known in the circus world as Zip the Pinhead, he was one of Barnum's more controversial acts. 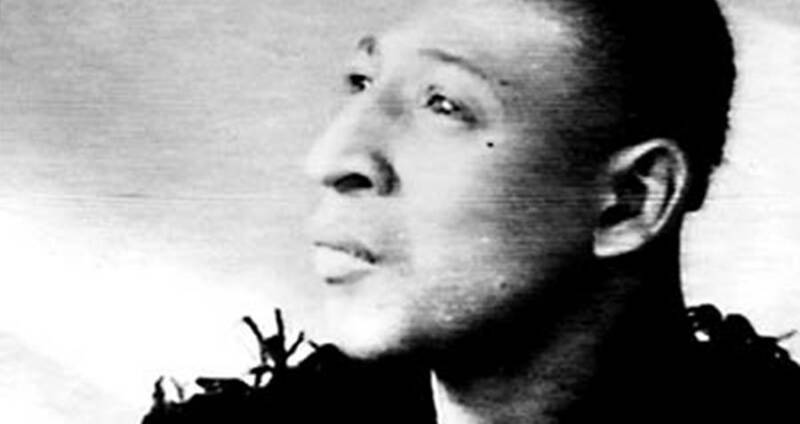 Zip was born into a very poor African American family and was believed to suffer from microcephaly, a condition that usually results in an unusually small head. When he was a small child, he was sold to the circus in return for a small sum of money. Barnum then displayed him in a cage, advertising him as a "missing link" between modern humans and apes. 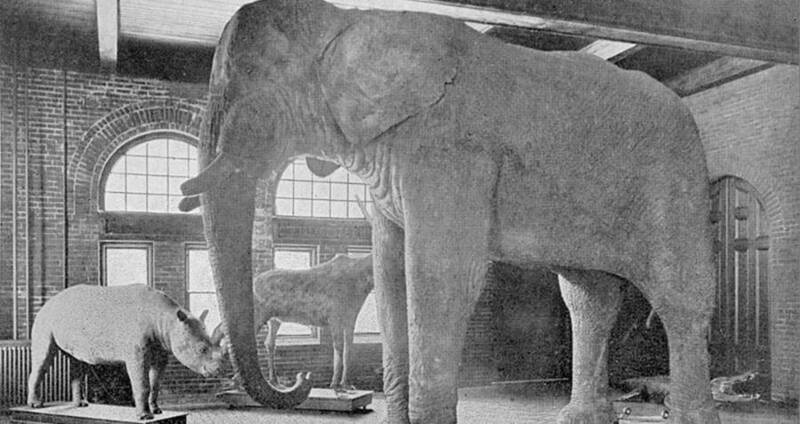 Jumbo was one of the first circus elephants ever. Barnum purchased him from the London zoo in the late 1800s and brought him to America to perform tricks with his sideshow freaks. He frequently played for crowds at Madison Square Garden, but his most notable performance was when he lead a group of 21 elephants across the Brooklyn Bridge to test its stability. His name is where we get the term "jumbo" to describe large things. 1889.